Director Shinichiro Watanabe, famous for Cowboy Bebop, is creating an animated short connected to the Blade Runner 2049 film titled Blade Runner Black Out 2022. 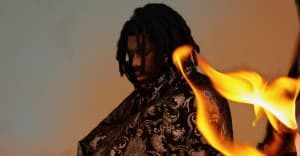 Flying Lotus took to twitter Thursday night to share that he made all of the music for the new project. "Doing something with Watanabe was a dream of mine," he wrote. The setting for the anime short takes place in 2022, between the original Blade Runner film set in 2019 and its sequel. The film's story is centered around a large power outage that takes place in the United States. Watch the preview of the new short below and listen for music composed by Flying Lotus.